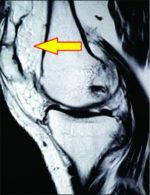 Introduction: Lipoma arborescens (LA) is a rare, benign intra-articular lesion most commonly found in the knee, characterised by villous proliferation of the synovium .It generally presents as a longstanding, slowly progressive swelling of one or more joints associated which may or may not be associated with pain.MRI is the investigation of choice, with images clearest on fat-supressed or STIR sequences. 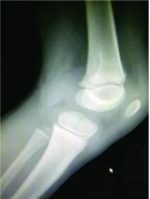 Case Report: We present a 35 year old male patient, who presented with a three year history of bilateral knee pain and swelling. Magnetic resonance imaging (MRI) scans of his knee showed the characteristic features of lipoma arborescens. A 99technetium bone scan revealed increased uptake in both knees. The patient underwent bilateral arthroscopic synovectomies and made an uneventful recovery. The samples sent for histology were reported as being characteristic of lipoma arborescens. 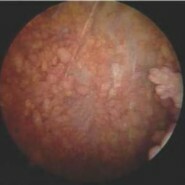 Conclusion: Lipoma arborescens is a rare, benign intra-articular tumour which may mimic a number of other diagnoses. MRI should be considered to exclude this pathology as well as other uncommon intra-articular pathology. 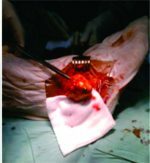 Treatment with synovectomy is frequently curative.